What should be your next corset of action? Getting this top, duh! 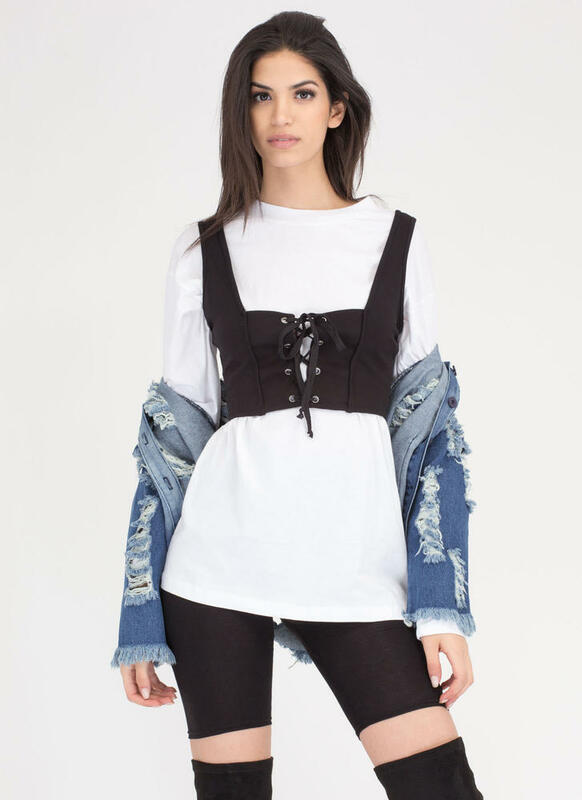 Stretchy cropped tank top features a deep square neckline, a low scoop back, and a corset-like lace-up front with grommets and flat woven laces.